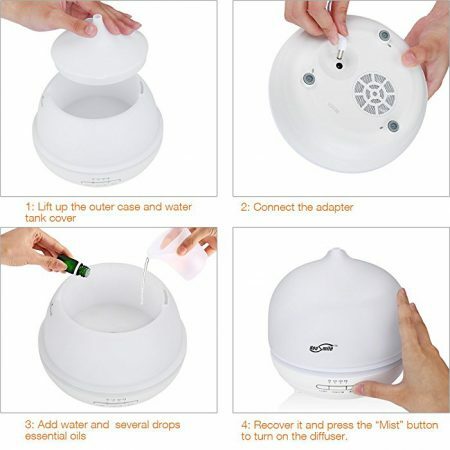 This diffuser has easy buttons to control the Mist and Light separately. 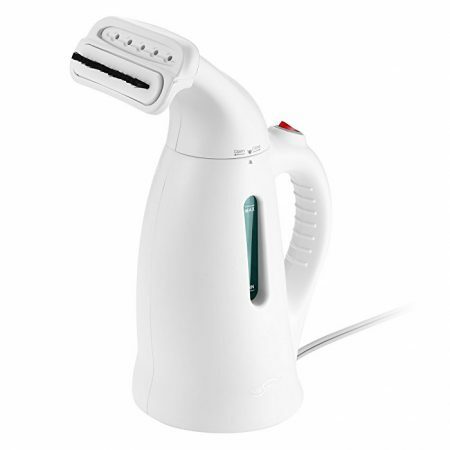 For the Mist setting, there are High and Low modes for you to easily adjust for your favorite way of mist diffusing. Upgraded Version Frosted Glass Design: Frosted glass coating offers you an exquisite decoration for your house and is comfortable to touch. 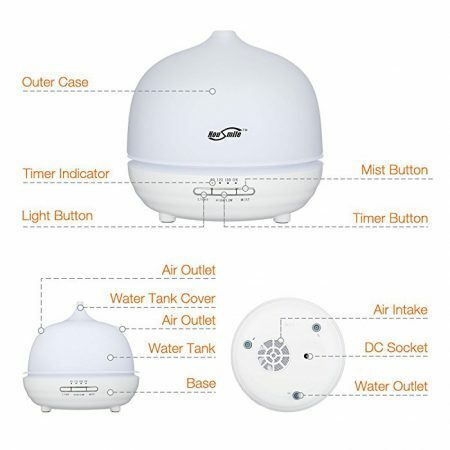 4 Smart Timer Settings: 4 timer modes, 1H/ 2H/ 3H/Always ON, with High/Low modes for diffusing, give you more options to humidify your room. Auto Shut-off for Safety: When water runs out, it will automatically turn itself off for protection. 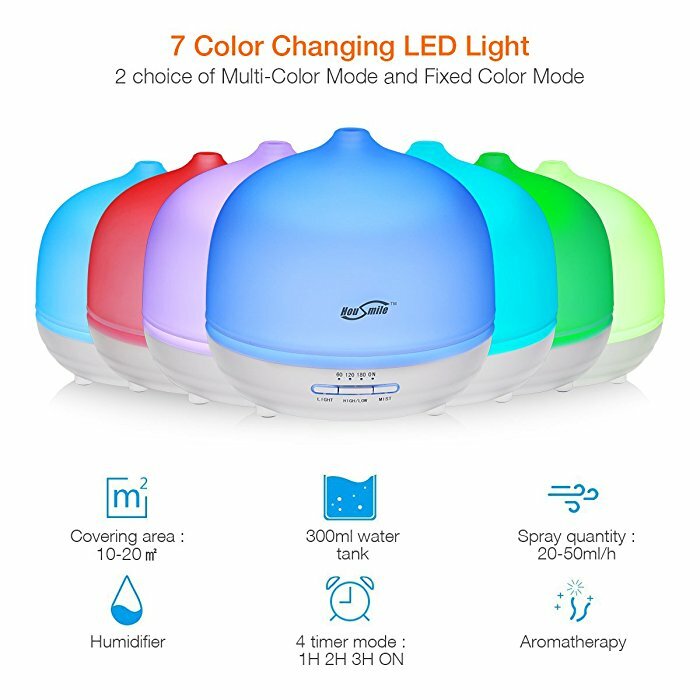 Multifunctional 4 in 1 Diffuser: It can be used as a humidifier, an aroma therapy diffuser with some essential oil, an effective air purifier and a beautiful night light with changing warm colors. 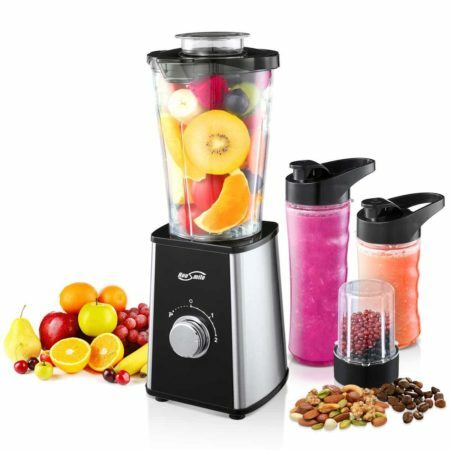 Excellent Performance: Despite a small size, it has a 300ml water tank to run over night. 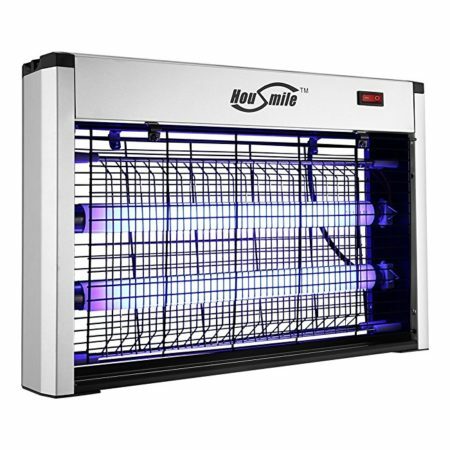 It can produce 35-50ml moisture per hour with at least 8 hours’ runtime. Essential Oil Diffuser:It will create a moist atmosphere for your room. It takes very little time to notice the effect of the essential oil you add. 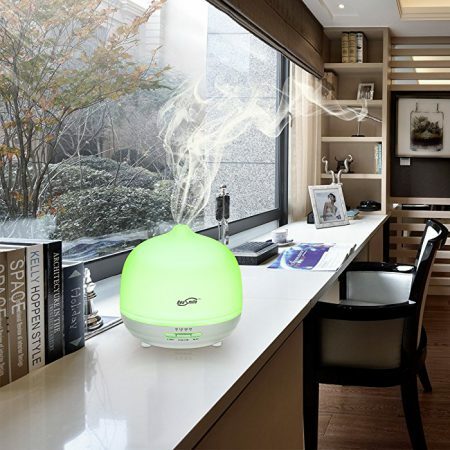 It fills your room with wonderful aroma within a short time. 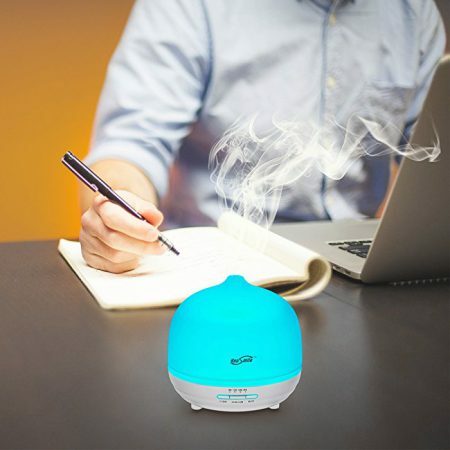 It gives you comfortable spa like feeling in any room you use this essential oil diffuser. This Housmile diffuser will produce moisture to the air to help you with problems like colds, cough, dry sinuses, congestion, dry and cracked skin etc. 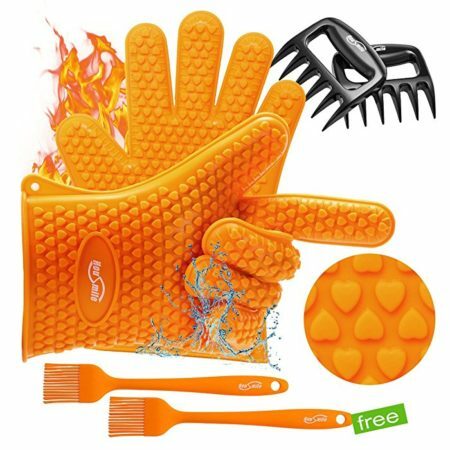 The pleasant fragrance will effectively remove bad dog smells and the bad smell of cigarette smoke. Thanks to advanced ultrasonic technolgoy, this aroma diffuser has excellent noise control, with Noise Level: 35db(A), no distraction, for better sleep. 1.Please use tap water only. 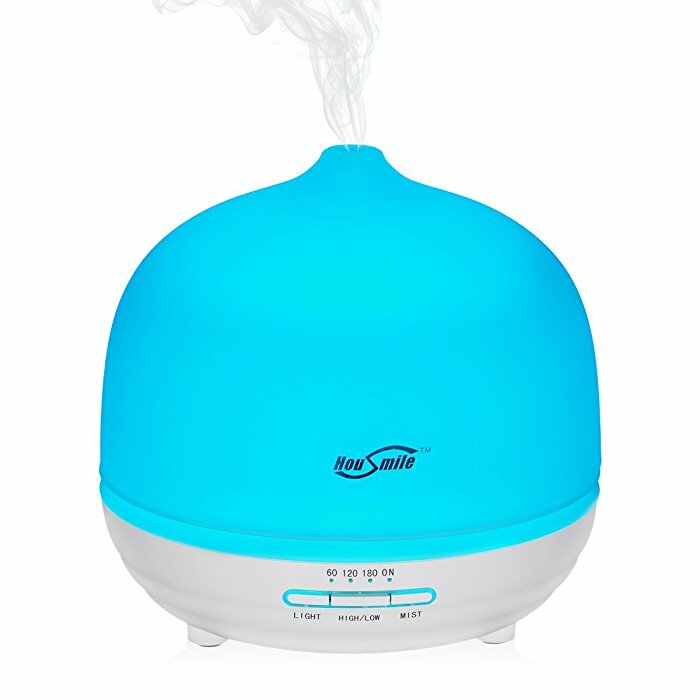 2.Please keep essential oil 100% natural without burning or heating(NOT INCLUDED). 3.Please control the water below the Max Line 0.39 inch for better mist effect.